Watch Ricky Skaggs "Crying My Heart Out Over You" music video that reached #1 on the Country Music charts. 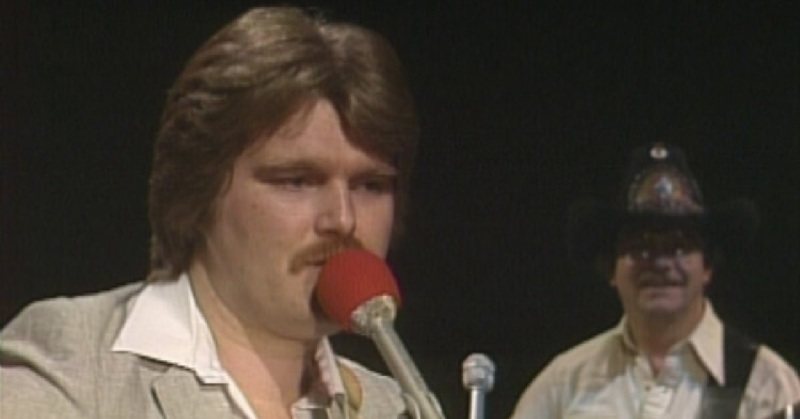 Ricky Skaggs Crying My Heart Out Over You was released in 1982 and Ricky was the second artist to record and release the song. This tune become Ricky’s third country hit and the first of eleven number one hits the artist achieved on the country music charts. This single stayed at number one for one week and spent a total of thirteen weeks on the country chart. Watch the music video to this country music classic and check out the lyrics below. “Crying My Heart Out Over You” song lyrics were written by Lester Flatt, Earl Scruggs, Carl Butler, and Earl Sherry. The song was originally recorded by Flatt & Scruggs. Off somewhere the music’s playing soft and low. And another holds the one that I love so. But like a fool I stood and watched you go. Now, I’m crying my heart out over you. Those blue eyes now they smile at someone new. ‘Cause I’m crying my heart out over you. Each night I climb the stairs up to my room. It seems I hear you whisper in the gloom. While I’m crying my heart out over you.